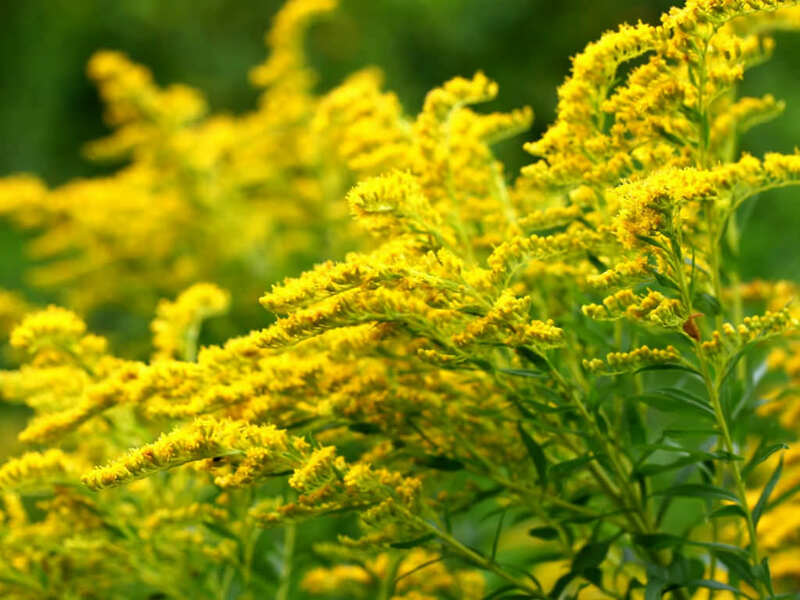 Solidago canadensis is a rhizomatous, upright perennial up to 5 feet (1.5 m) tall. Central stems are clad with numerous, narrow, alternate, lance-shaped, sharply-toothed, stalkless to short-stalked green leaves up to 6 inches (15 cm) long and up to 1 inch (2.5 cm) wide, which are hairless above but hairy beneath and tapered at each end. Central stems are hairless near the base but soft hairy above the middle. 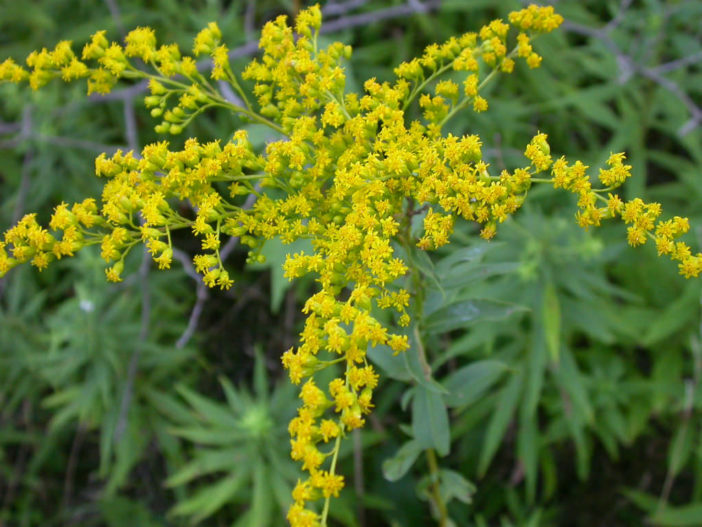 Central stems are topped in late summer to fall with large, horizontally branched, terminal, pyramidal panicles containing one-sided recurving branches filled with masses of tiny yellow flowers. 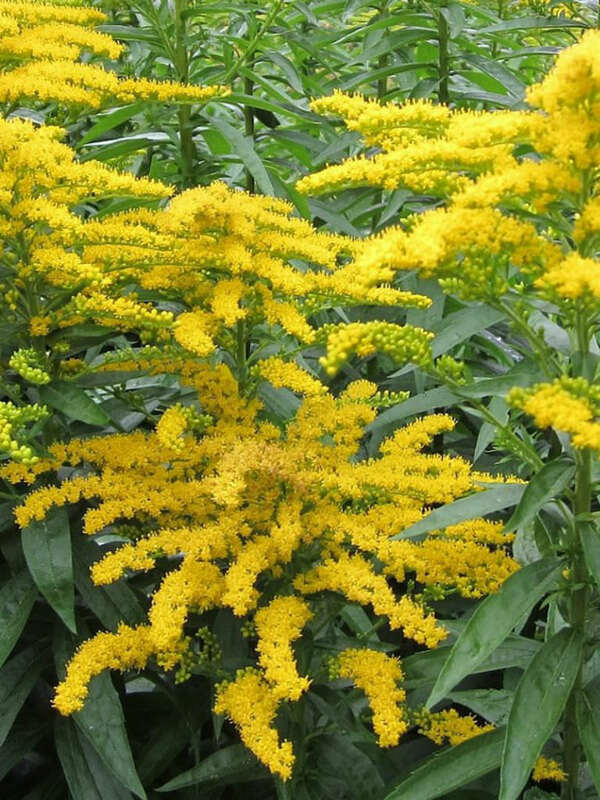 Growing and planting Goldenrod is easy, as this plant will survive just about anywhere, though it does prefer to be grown in full sun. 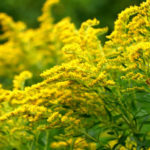 Goldenrod also tolerates various soil types as long as it’s well draining. 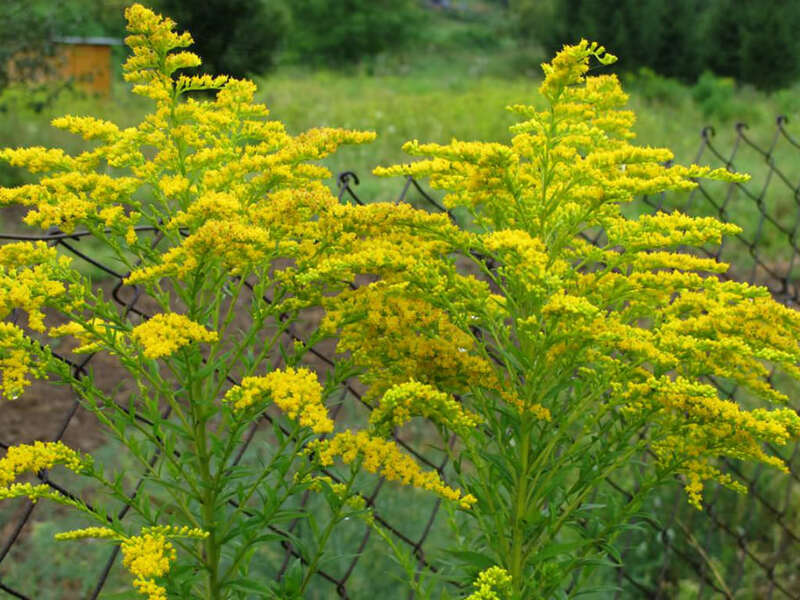 Goldenrod care is minimal once established in the landscape, with plants returning each year. They require little, if any watering, and are drought tolerant. Clumps need division every four to five years. Cuttings may also be taken in spring and planted in the garden. 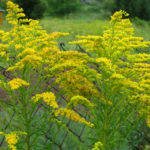 Learning how to grow Goldenrod offers many advantages. Bad bugs can be drawn to the plant and consumed by beneficial insects that hatch their young there. 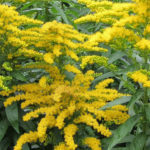 Planting Goldenrod adds beauty and attracts butterflies to your landscape… – See more at: How to Grow and Care for Goldenrods. Native to northeastern and north-central North America.